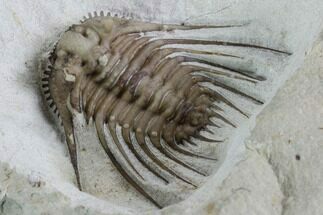 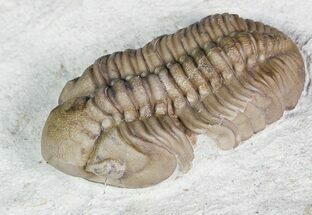 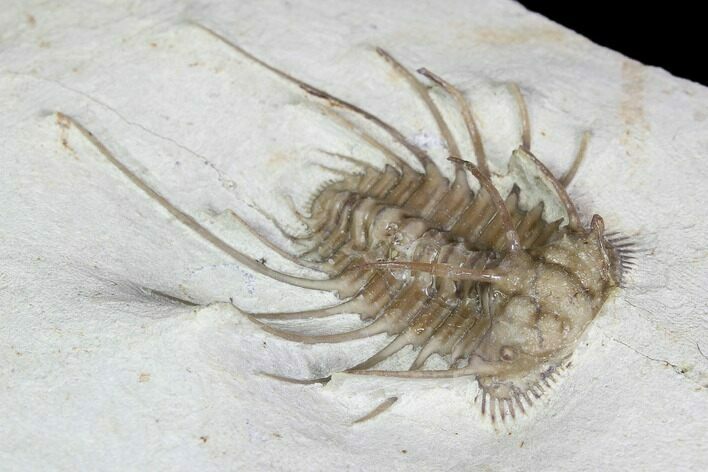 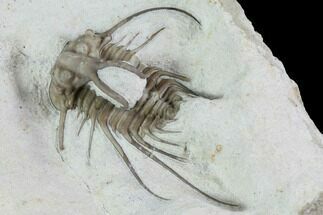 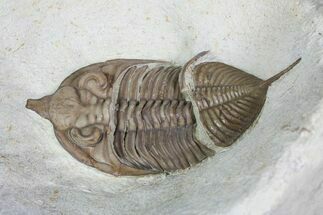 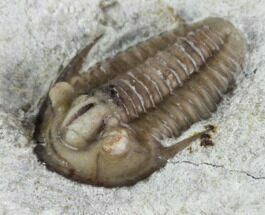 This is a fine example of one of the most sought after and rare trilobites to come out of the Haragan Formation of Oklahoma. 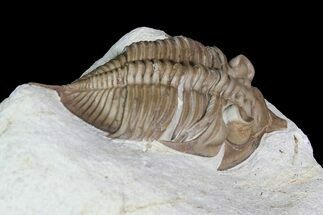 These delicately spined Odontopleurids are considerably more rare the even the Dicranurus from this formation. 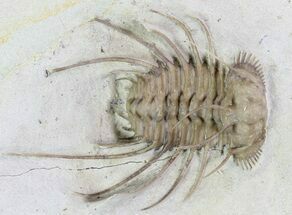 This specimen is a little bit above average size at 1.55" long and has elegantly flowing spines with the "horns" prepared free standing. 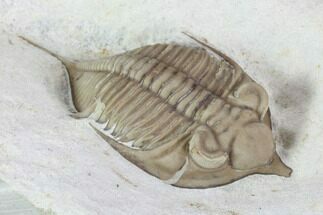 It's light, carmel colored shell contrasts well with the limestone matrix that it is centered on. 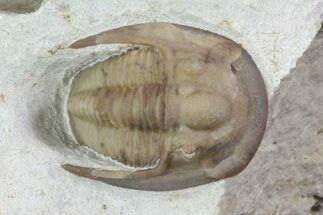 There is only about 1% restoration along the repaired crack and some repair to the horns.